A gastrique is a caramelized sugar, deglazed with vinegar that is often used by gourmet chefs as a thick, sweet-and-sour sauce. But what’s good for the goose is good for the gander. A gastrique can help you brighten the flavor and color palette of your favorite cocktail recipes. The recipe for my cherry gastrique is below, but feel free to experiment with different vinegars such as red wine, champagne or cider vinegars. Try pairing these vinegars with other accent flavors like lemon peel, chiles, blood orange or blueberries. Your opportunities are endless. Don’t forget you can always apply it with cuisine as well. Use it as a component to a dessert, pouring it over blackberry pie á la Mode. Or as a complement to an appetizer or snack, drizzling it over brie and crusty french bread. Think of all the opportunities with french toast. Ok, this is making me hungry. Back to the recipe. In a pot cook 4 cups of sugar on medium heat until the sugar turns a nice brown color like a caramel. You’ll need to constantly stir your sugar and keep a close eye on it so it doesn’t burn. Slowly stir in the rest of the ingredients, incorporating them. Cook for half an hour to extract the flavors from the fresh cherries. Remove from heat and set aside and let it cool. Strain into a sterilized bottle. I like to add a shot of vodka to help preserve my syrups. This syrup has vinegar, so I’m hoping it will last up to two months. 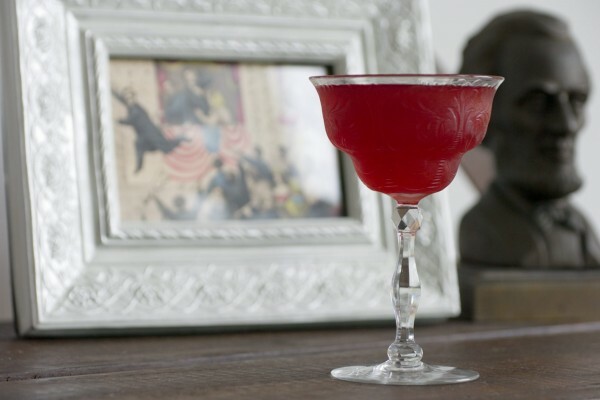 I feature this cherry gastrique in a cocktail I call Thus Always To Tyrants. Notice the vibrant red coloring you get by adding the cherry gastrique to the recipe. If you’re interested in making this cocktail at home you can get the recipe here. This sounds similar to a shrub. What’s the difference? Jarrod, They are very similar. Grastriques are traditionally intended for cooking, but I’ve adapted it to use in cocktails. I like the grastruque in this cocktail because the burnt sugar gives some depth and there’s less vinegar. Oh, I see. I’ve found that using a balsamic greatly reduces the acidity in a shrub. I’m definitely going to try a gastrique at my next event though! I’m completely digging your website. Just froze some fresh blueberries to make liqueur. 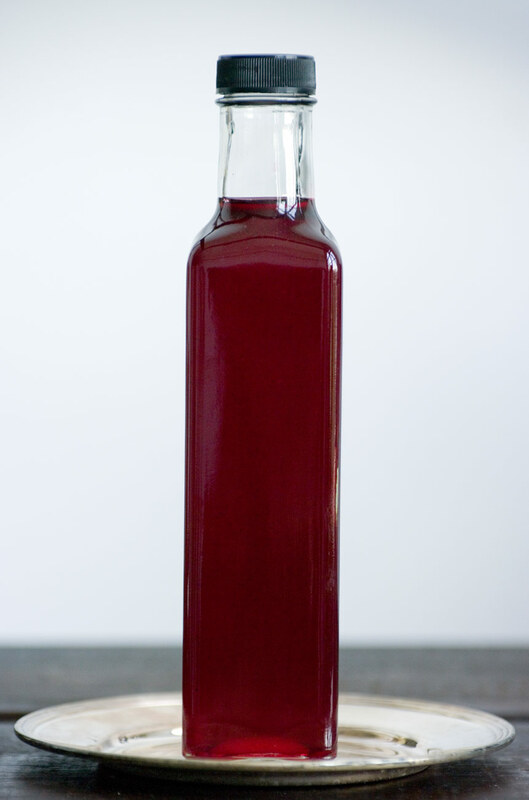 Also, do you have any experience making aronia berry liqueur? Great recipe!!! Should it be stored in the refrigerator?